We are firm believers in the 'keep it simple' principle. 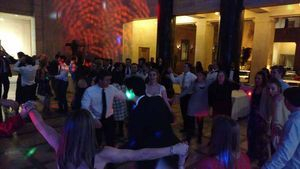 We are not about building complex DJ packages, instead we are about providing a great product at affordable flat fee pricing for required services. In addition, if we don't have the music you are looking for, we buy it; every music purchase is an investment in our client's satisfaction. 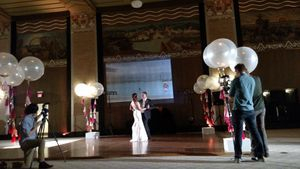 Microphone options/variations: No two ceremony setups are identical, therefore it is important to have a variety of options to provide you the best sound possible. 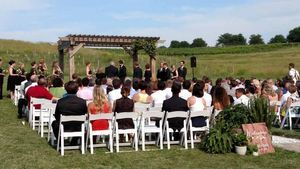 Location and setup may sometimes dictate what will provide you with the best sound - indoor vs. outdoor ceremony; wireless vs. corded, etc. Music Options: We have everything from classical strings to string quartets playing pop hits of today. Blaze your own musical trail and have us play what you want to hear. All documents necessary to assist in the planning of your event. We will emcee all necessary aspects of the evening from your grand entrance until the lights go out; cake cutting, toasts, special acknowledgements, etc. Includes a light package suitable for your venue as well as a wireless microphone for toasts. Coordination with all vendors the day of your event to make sure everything runs smoothly. Share your memories whatever the occasion: Weddings, Anniversaries, Birthdays, Graduation! You provide us the pictures and song titles you want in your video, we'll put it all together and create a downloadable file for you to keep and share. If your photos are not digitized, there is a $.20 per photo fee to scan, clean, and make color corrections. Let us show your video on our 8' screen. We take care of ALL aspects of 'running the show' during your cocktail hour or reception. From hook up, to controlling the audio, to tear down, we will help your guests enjoy a trip down memory lane.